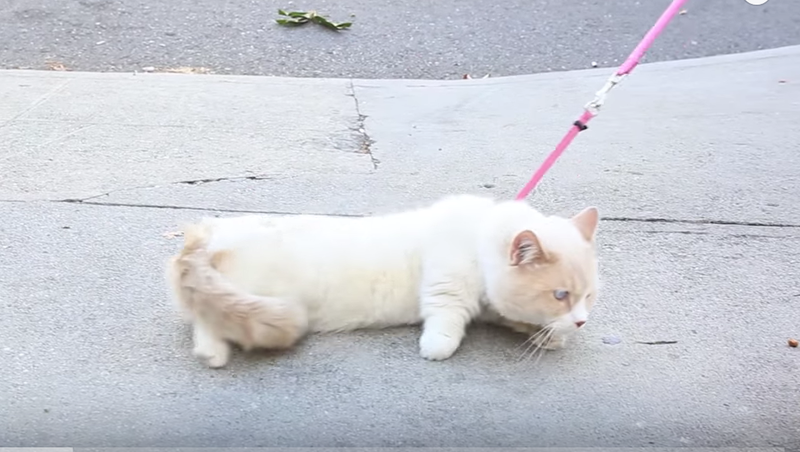 Earlier this month, BuzzFeed shared a video featuring people trying to walk their cats on leashes. It was good for a laugh, and in some ways, helpful. 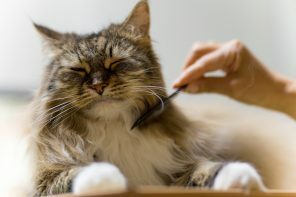 But it can perpetuate a myth that we’d like to address: You can’t expect a cat to react like a dog when you put a leash on him for the first time. We shouldn’t even have to say it, but it’s worth getting it out there: Please. Don’t drag your cat. 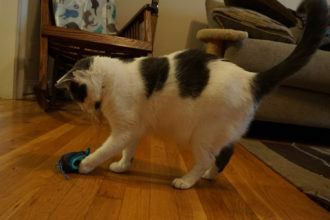 There is a proper way to train your cat on a leash that promises much greater success. 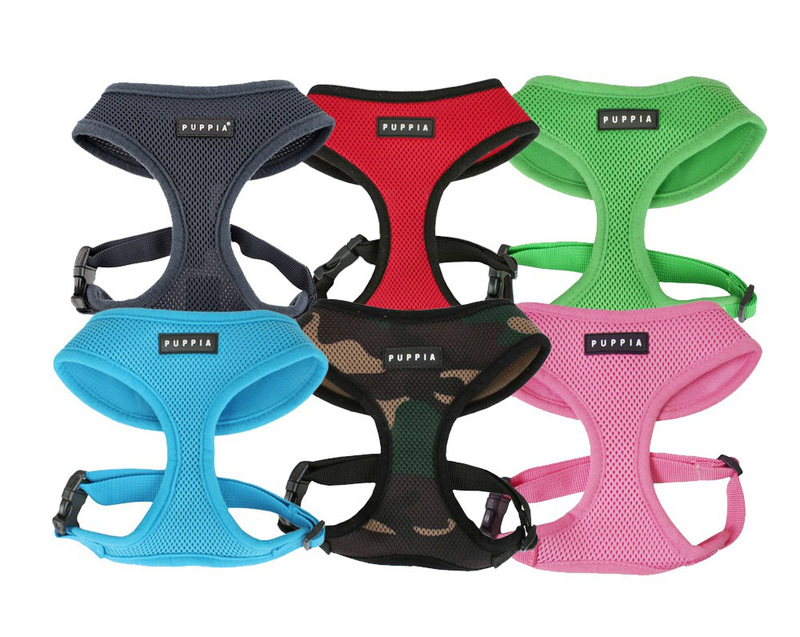 Anyone who has had a dog knows that they love being outdoors; a sight of the leash leads to much tail-wagging and yelps of excitement. But your dog has likely been on a leash since puppyhood. 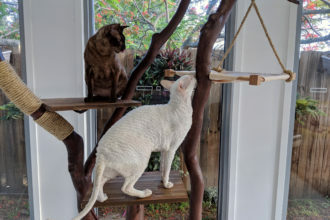 For your cat, this experience is still new — and, frankly, pretty darn uncomfortable. Do you think these cats wanted to get back on a leash after this? You might laugh at this GIF, but we don’t recommend this method for leash training your feline friend. That means you need to be patient. While some cats take to leashes in much the same way dogs do, you’ll have to pay close attention to your cat’s body language. The last thing you want to do is create a negative experience for him to associate with leash time. So start slow. Follow our guide. 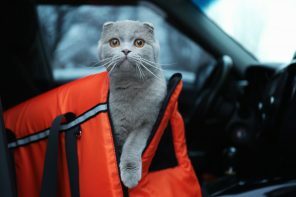 Pay attention to how your cat reacts each step of the way, and if your cat doesn’t want to move while the harness and leash are on, don’t push it. 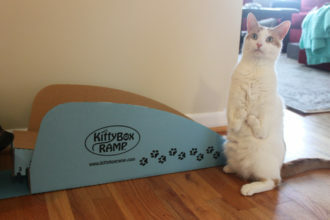 I started training my cat, Snowflake, a couple of years ago. The first time we put her harness and leash on her, she scooted very low to the ground and only wanted to lie down when we took her outside. 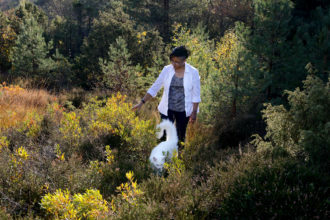 It was tempting to try to help coax her along, but we knew she just needed to get used to it. Now, she loves going outside and poking around the plants, venturing farther and farther out into our backyard with every excursion. Of course, there are still days when we decide to take her right back inside. Maybe a dog will be barking or there will be kids playing in the street. Some days are better than others, and it all depends on her mood. 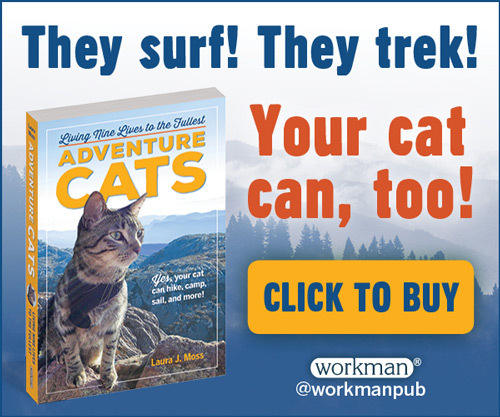 We know you’re excited to get your cat out and about; with so many great stories to inspire you, we don’t blame you one bit! So start slow, be patient, and take it one step at a time. And never, ever drag your cat. 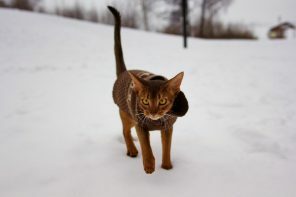 Do cats need winter clothing? Leave it to Buzz Feed to drag cats. The worst thing to ever watch and support on YouTube. Everything they have, they just copy off of other small YouTubers. They are the walmart shoppers of YouTube ideas. Not all cats are content to simply watch the world through the window. 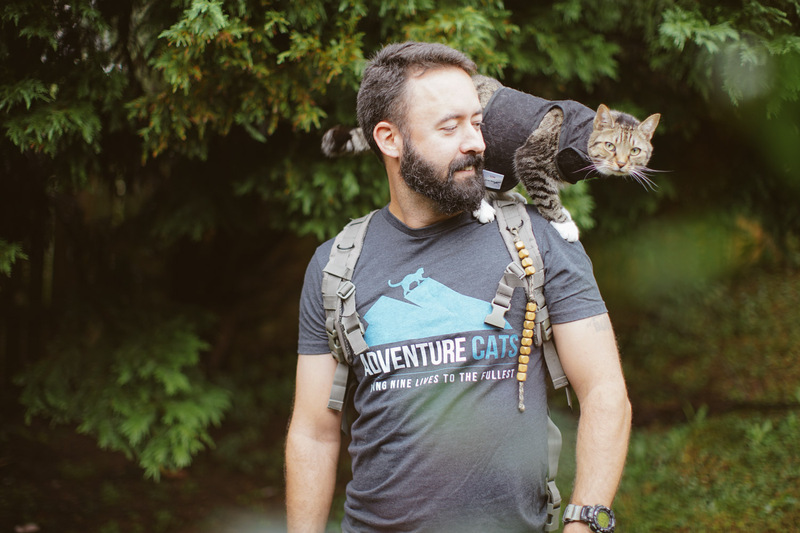 Meet the fearless felines who accompany their humans on outdoor excursions — from camping and climbing to biking and kayaking — and learn safe and fun ways your cat can become an adventure cat.